Hi all... I'm a little embarrassed to ask this, but this is the place to get the definitive answer. Are there actual service technician certifications for V-series and/or XLR? I've seen references to them in various posts / threads. Since I bought my car (WAY) out of state, I need to choose my servicing dealer. There are three within a reasonable distance, and none have either stand-out or bad reputations. I'm not in a rush as the car is in winter storage, so I sent an email to each and asked if they had certified V-series technicians on staff. One called and said "yes." One emailed immediately to confirm my phone number and give me the first name of who would be calling me, but they never did call. The third didn't reply at all, but I was driving by and stopped in. I met the service manager (assuring him I neither wanted to sell him something nor complain) and asked about certified techs. He said he assumed so, but would check and get back with me. He did call back today, (bonus points!) but said that there isn't any special service certifications for V-tech (?) and that people with XLRs in this area have them serviced at the Chevrolet dealers. Okay, more points for honesty. But.... That made me question my question. So I ask you, are there special tech certifications or not? Might there have been some in the past but not now? 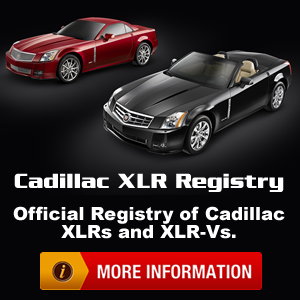 I did not ask my Cadillac dealer that question the first time I brought my XLR-V in for service last year. The tech staff and Service advisors enjoy seeing a rare car stop in and have provided me with great service on a wide variety of power train and other issues. I will ask them about special training the next time I’m in for routine service. Thanks for putting the idea out there! The world is run by those who show up! Lots of service techs come and go at dealers. 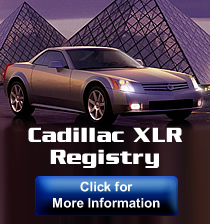 It's at the very least 10 years ago that Cadillac offered training to techs for XLRs, whether V or Base. It's a crap shoot trying to find an actual certified XLR mechanic. The answer to your question is “yes”, there was a special certification for service tech to work on an XLR. The car at the time had many advancements including adaptive cruise control, etc. misty, if someone is going to work on your retractable top, ask if they are certified for that. One previous post mentioned that he asked his dealer if they had certified XLR technicians, he resppnded ‘they are all certified ‘. Wrong answer (or they only have / tech). Last edited by nerkpowers; 12-27-2018 at 08:22 PM. I can tell you a resounding yes - one of my good friends happen to be a certified xlr mechanic. Still works for my local GM dealer. My friend at Mercedes was asked if he wanted to get Certified and he politely told them, If his mother had wanted him certified, she would have had it done when he was a little boy. He is a grown man and no one is doing any cutting on him. A local guy down here is a certified XLR tech. He is top shelf. Walking by, he stopped in to chat the other day. He mentioned he had one in the shop that a local guy had just taken out of storage. The owner lives north and comes south for the winter. He mentioned the guy dropped it off with the top down. He said the top was down and it would stay down till the owner returned to get it. Was not too confident about the top. He stored it inside the Caddy dealership. I saw two down here today , a Champagne and an Infra-red . Last edited by Bill S.; 01-01-2019 at 07:10 AM.